The most popular beach on the island of Brač is the legendary Zlatni rat. But the island of Brač has so much more to offer. You can find pebble and rocky beaches, but you can find a sand beach as well. The island is full of bigger and smaller bays so you'll find the one for yourself no matter the side of the island you're on. 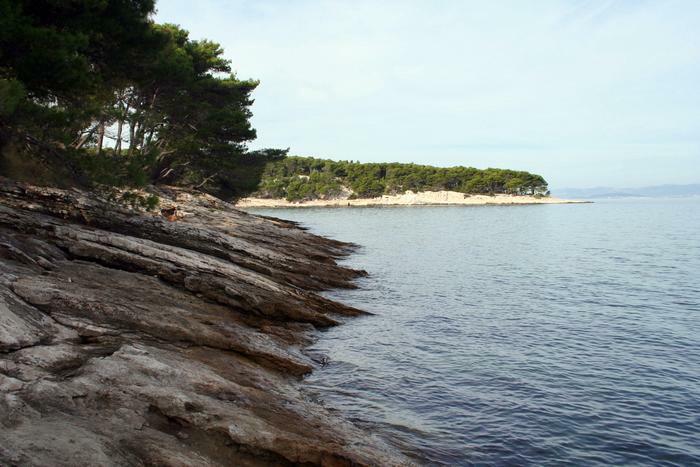 The beaches of Brač are all the more charming thanks to the wild Mediterranean nature and clear blue sea. 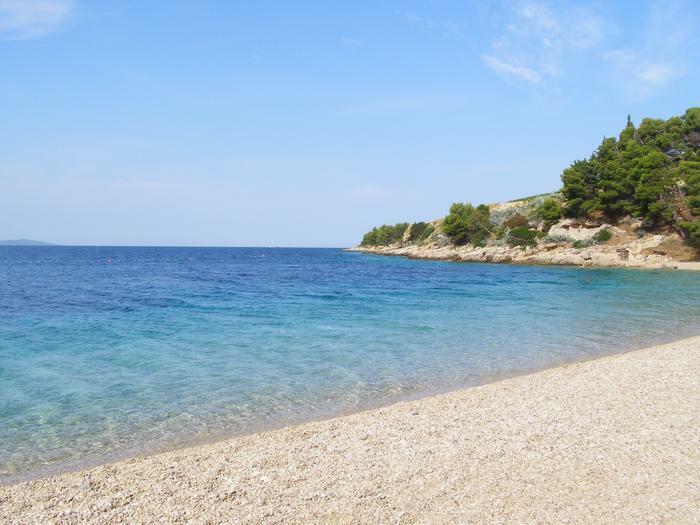 If you're planning on spending your summer holidays on Brač, take a look at our blog on the best beaches on the island of Brač. 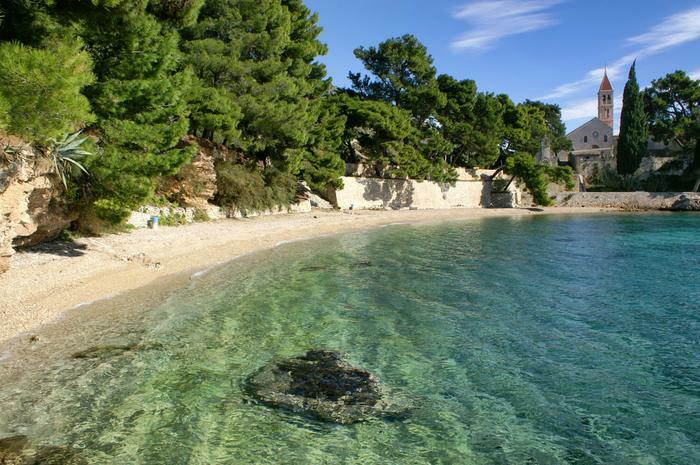 The only sand beach on the island of Brač is also one of the most popular Brač's beaches. It is 4 km away from the town of Postira. 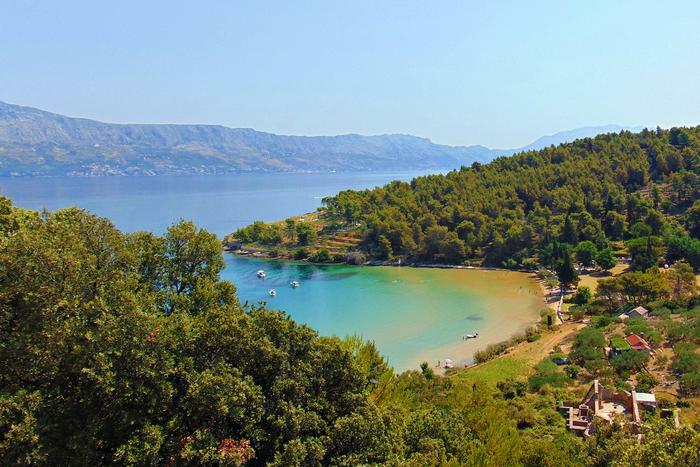 Lovrečina beach is located in the Lovrečina bay and it is popular among families with children thanks to its fine sand. Everyone else looking for a nice place to take a swim is also very likely to choose Lovrečina. It is ideal for snorkeling so make sure to bring your mask and snorkel. You can get to this beach by car. There's a restaurant and a cafe nearby, but bring something to eat and drink anyway. You'll also find showers, a playground and a parking lot there. The interesting thing is that there are ruins of a roman summer villa which prove that this area has been an interesting holiday destination for years. In a small, peaceful town of Murvica, just a couple of kilometers away from Bol, there is a fine gravel beach surrounded by pine trees. It is perfect for those in search of an isolated beach where it's possible to completely relax. But to get to the beach, you need to go down a steep hill. There are no amenities so bring something to eat and drink. There's one more pebble beach nearby – the Dračeva beach which is also ideal for those looking for peace and quiet. There is a popular beach called Martinica close to Bol. It is located next to an old Dominican monastery which makes the atmosphere special and romantic in a way. There are no amenities at the Martinica beach so bring everything you need and don't forget to put some sunscreen on because the trees don't provide any shade. 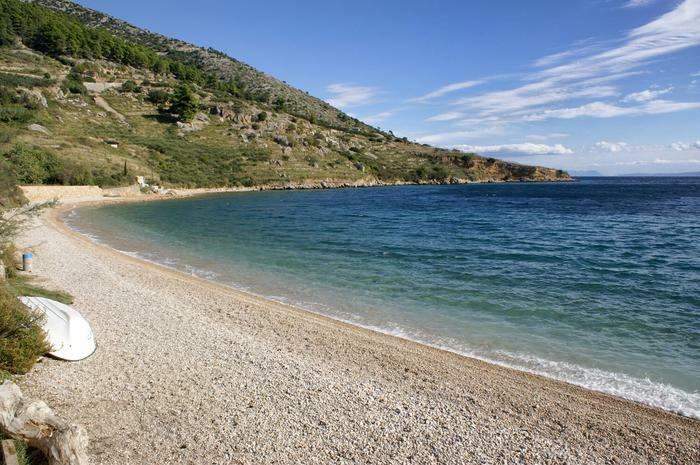 Beautiful Paklina beach is only a 10 min walk away from Zlatni rat. This is a rocky beach so you'll need appropriate shoes. There are no amenities at the beach so bring something to eat and drink as well. The beach is surrounded with trees providing shade and there's a beautiful romantic feel to it. Where to stay on the island of Brač?